This collage is the perfect decorative piece for your home. It is a 60 cm * 60 cm collage that consists of three picture frames. Picture collage is the best way to reflect the memories and decorate your home with those special moments of your life. This decorative piece is very stylish as well as trendy. It adds a touch of elegance to your home. This collage frame consists of three picture frames making it ideal for the center decorative piece for the wall of your living room. The material used is of high quality and long lasting. The material will not break easily and is very durable. This photo collage is light in weight and easily maintainable. 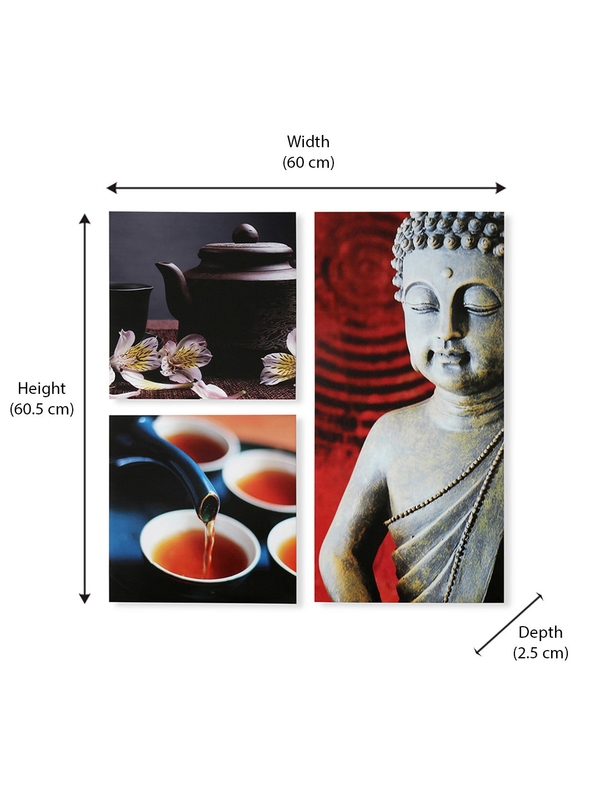 The photo collage is a combination of three photo frames so that you can add memories to decorate your living room. This piece is very elegant and pleasing to the eyes. This is the perfect gift for others too. You can gift this collage to friends and family so that they also get this attractive piece in their living rooms. You can buy many decorative products as well as this elegant and attractive photo collage only @home.